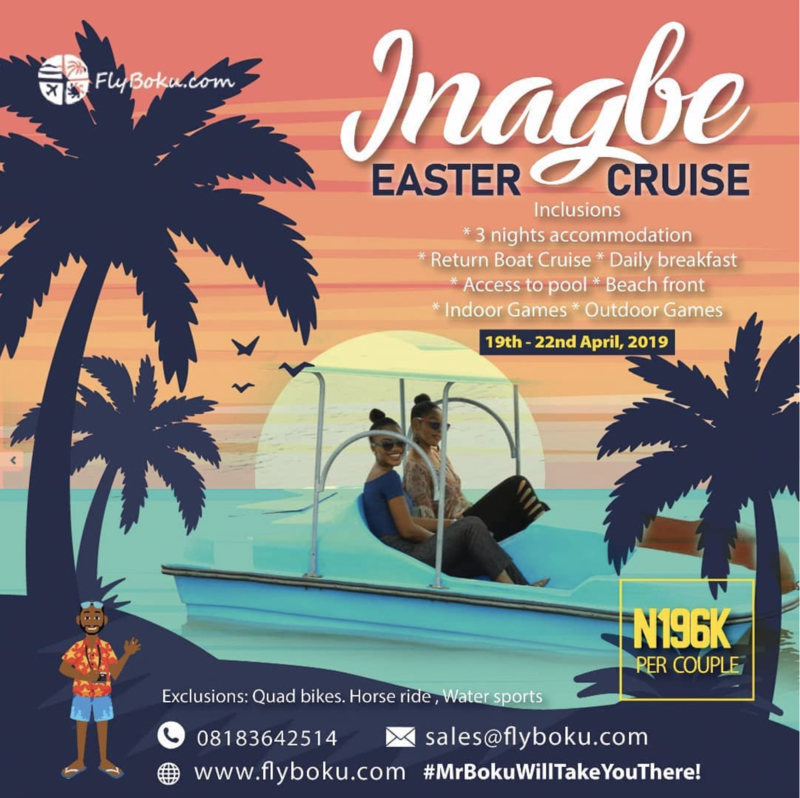 Home Unlabelled Enjoy this Easter Vacation in Grand Style with FlyBoku! FlyBoku is Nigeria’s leading travel agency with the very best travel experience. Your go to agency for flights, hotels, visas and the coolest tour packages at the most impressive rates. 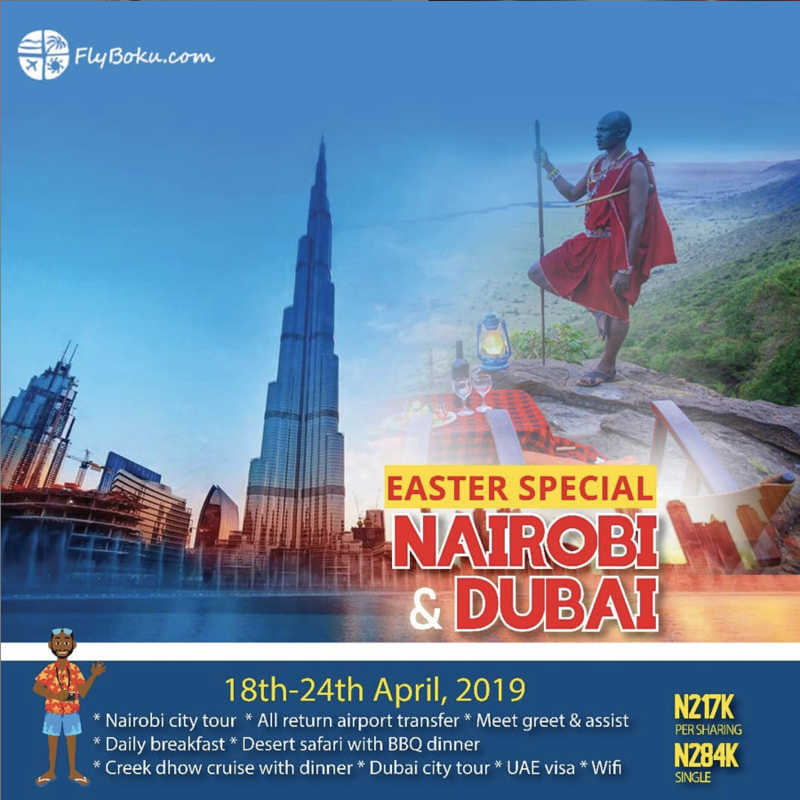 Easter vacation is upon us and as always, these guys have got you covered, with amazing packages for the holiday! Both locally and internationally! It’s pretty safe to say that Flyboku is taking over Dubai and Nairobi! 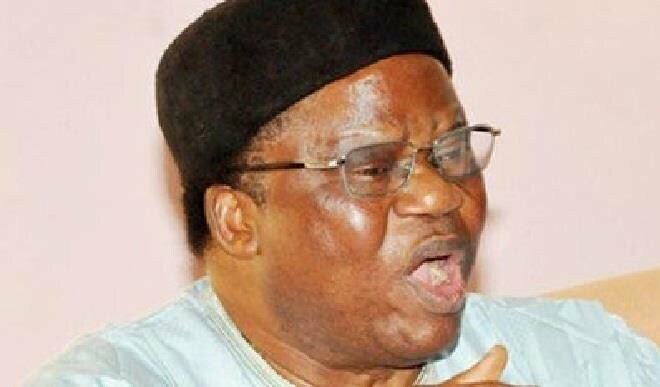 All at an amazing deal of N 217,000 per sharing and N284,000 single! 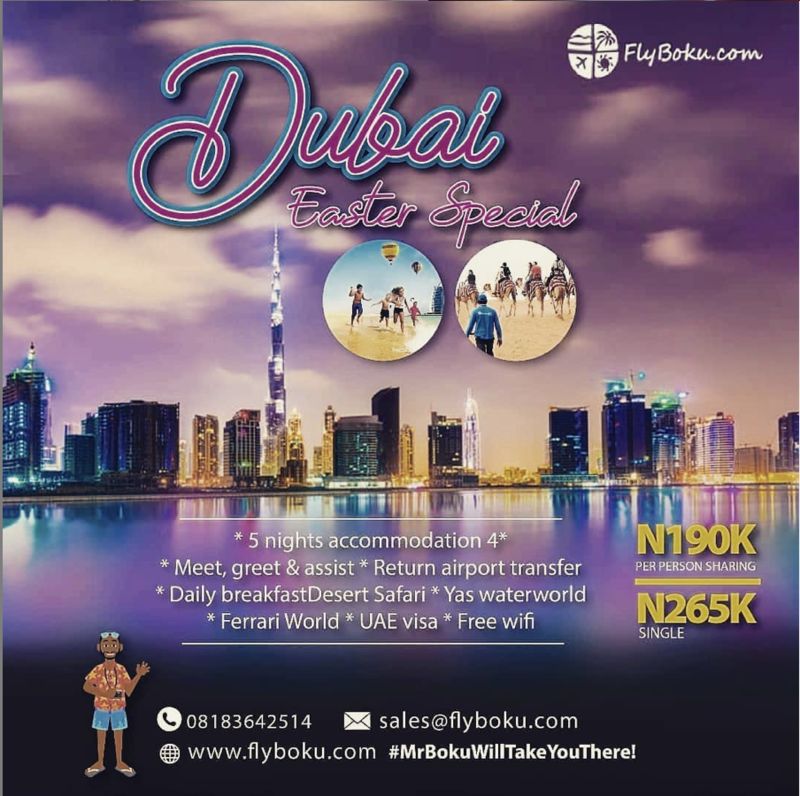 At an unbelievable price of N190,000 per sharing and N265,000 single because with Flyboku there’s absolutely no need breaking the bank to experience the best cities! All this at an awesome price of ₦282,680 Per person sharing and NGN381,820 single. Travel Period is 18th– 23rd April. Visit www.flyboku.com for more awesome travel packages! 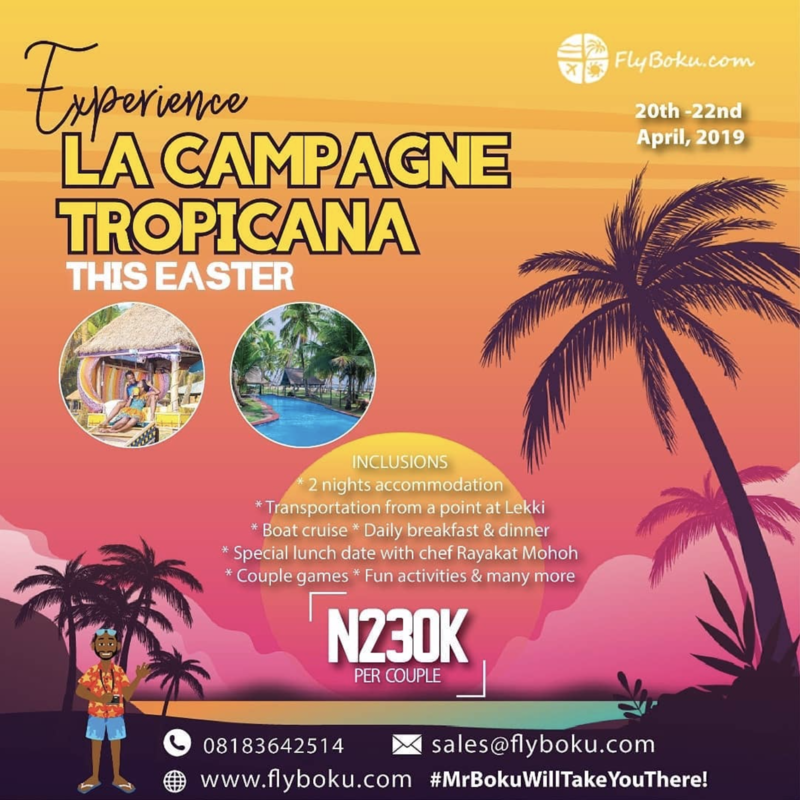 The post Enjoy this Easter Vacation in Grand Style with FlyBoku! appeared first on BellaNaija - Showcasing Africa to the world. Read today!.